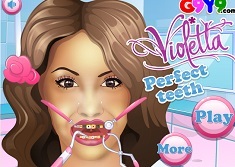 Your friend Violetta decided to offer you a new game in the category created especially for her and her friends. The new game that she has to offer is a beautiful and funny one, a game in which you get to help her in learning a new choreography for her next concert. 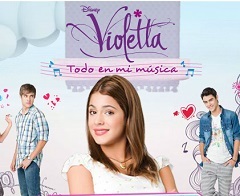 Violetta loves to sing and dance, and she is very talented at it, which in fact brought her many opportunities. Now, your friend has a few concerts to attend and she need help with the dancing moves. After she thought a little she decided that you are the right persons to help her learn the dance moves. In this new game that we have to offer you need to help your friend learn all the dance moves, and in order to do that you have to prove us that you are skilled. 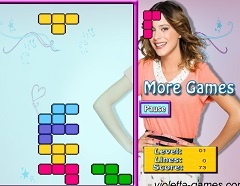 To play this new game you have to pay attention at the arrows that appear on the screen and to use them when they are in the special circles, so that Violetta can perform correctly the dance moves. 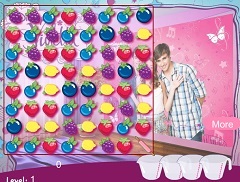 The game has certain levels of difficulty, and songs so that you can choose. 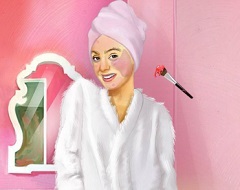 We invite you to play this new game and have fun with Violetta! Use the arrow key to dance!